The Alzheimer’s Foundation of America is sponsoring a free Memory Screening to be held at Staunton Senior Center on Tuesday, November 18 from 9:00 to 11:30 a.m. as part of National Memory Screening Day. A Memory Screening is not used to diagnose any illness and does not replace consultations with a qualified physician or other healthcare professionals. 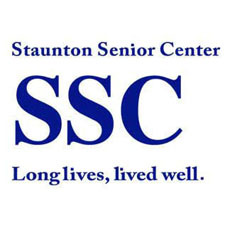 SSC is located at 300 Churchville Ave.
For more information, call the Center at 540-886-4634.